Materials: Maple Burl inlaid with translucent minerals. 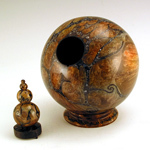 Finished with metal-acid dyes and musical-instrument lacquer. 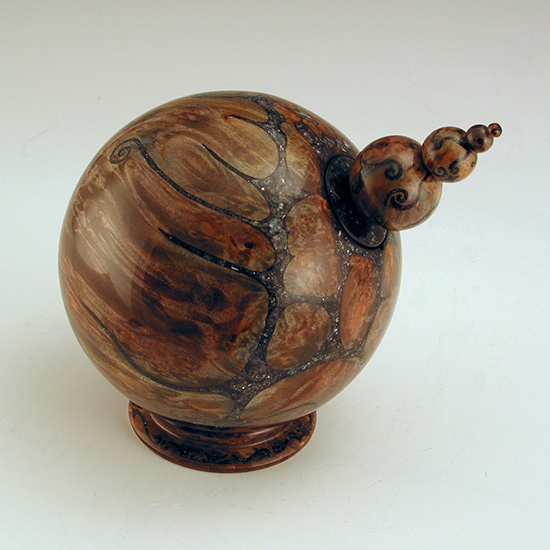 Comment: Exhibited in the American Association of Woodturners show Spheres, Richmond, VA. In the Larson Collection.